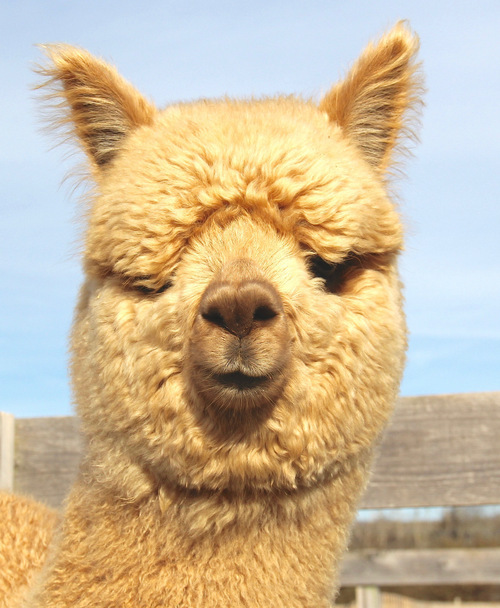 New England Alpaca Owners & Breeders Assoc. 2x Champ, SnowmassLegacy Gold/Royal Rose Grandson! Recent News Flash: Lucca does it again. 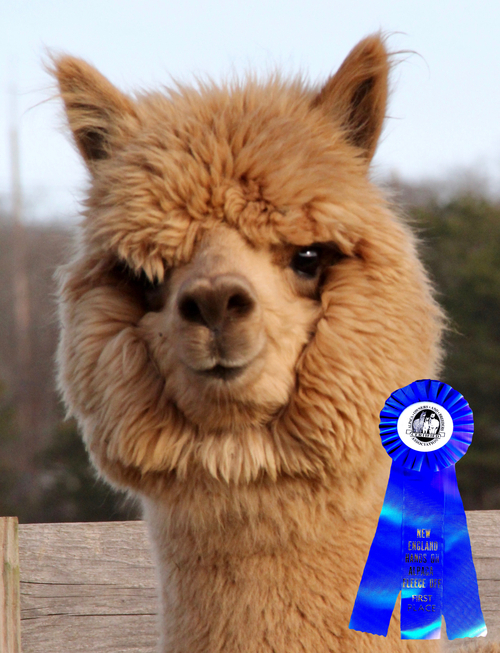 Blue Ribbon for Fleece at the 2015 MAPACA Jubilee in Pennsylvania... And what a history: Lucca won the Color Champion at the 2011 New England Alpaca Classic show! He was also awarded the Reserve Champion for the Tennessee Waltz 2013 Spin-Off. Lucca has won Blue Ribbons multiple times, 13 to be exact, this is very impressive for a male with a light color like his and for the amount of shows we are able to participate in. 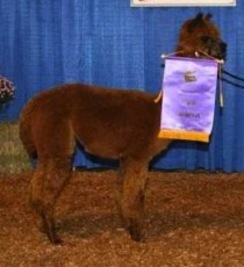 2x Champ, 4Peruvian Altiplano Gold Granddaughter! Lunette is a marvel! Fine lustrous crimp that is very dense and bright. She takes after he dam, with blue ribbons in hand and a color champion! Lunette won "Produce of Dam" at the 2017 Big E Alpaca show with her two cria, Luciana and Leonardo! Double Dee Revelation is a six time Color Champion and a super grey herdsire. He is a spectacular grey creation of style, presence, conformation, highly advanced fleece and profound genetics. His grey genealogy is unmatched and the breeding is proven. Luciana, what a gorgeous young female! She is an exact replica of her sire. Her conformation is outstanding, with nice straight legs, with a solid frame. Her fleece shows a lovely tight crimp that is fine, very bright and showing great character. Luciana's dam, Lunette, is a wonderful brown 2x champion winner with very dense fleece, with a gorgeous phenotype. 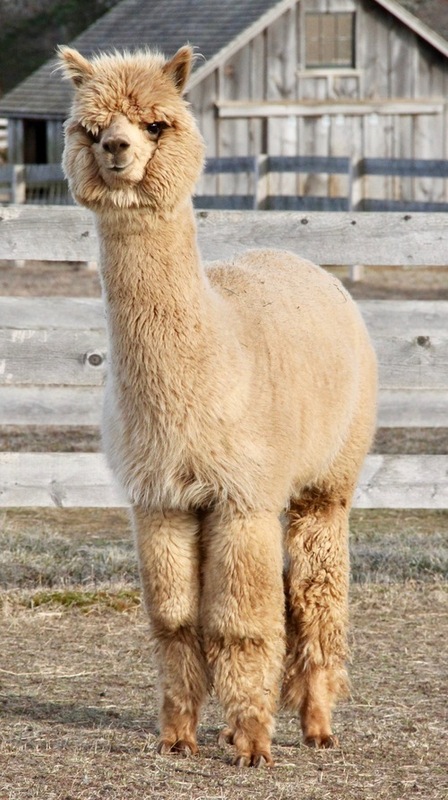 Lunette's sire is Magic's Talon, a light silver grey alpaca that has won a champion and several first place ribbons! Lunette's dam, Luna, also is a first place winner. 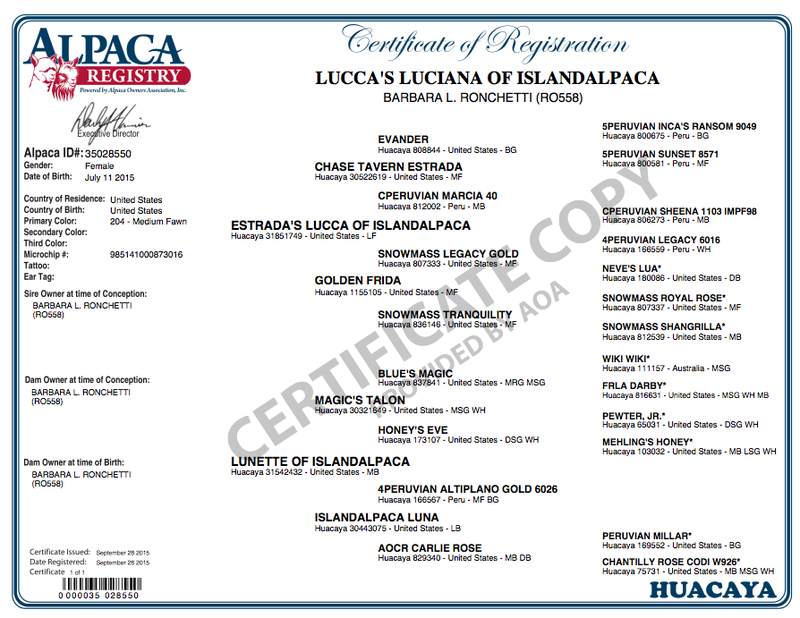 Luna's sire is 4Peruvian Altiplano, a well recognized champion who has produced an amazing number of show winners, and whose offspring are highly sought after. 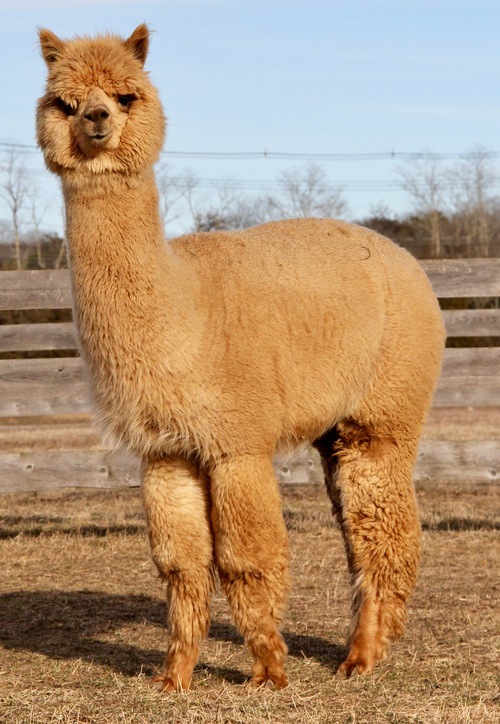 Luciana's sire, Lucca, is a beautiful fawn alpaca that has an outstanding phenotype with a strong frame. Lucca is a 2x champion winner and has won several first place ribbons. Fantastic for a fawn! Lucca's lineage is superb! On his dam's side he carries the genetics of the well-known Snowmass Legacy Gold, 4Peruvian Legacy 6016, Snowmass Royal Rose, Peruvian Hemingway G171 and more! 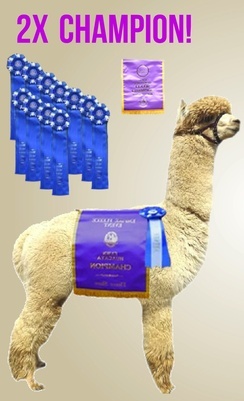 Lucca's sire, CT Estrada, is an 8x champion who has won over 30 first place ribbons. 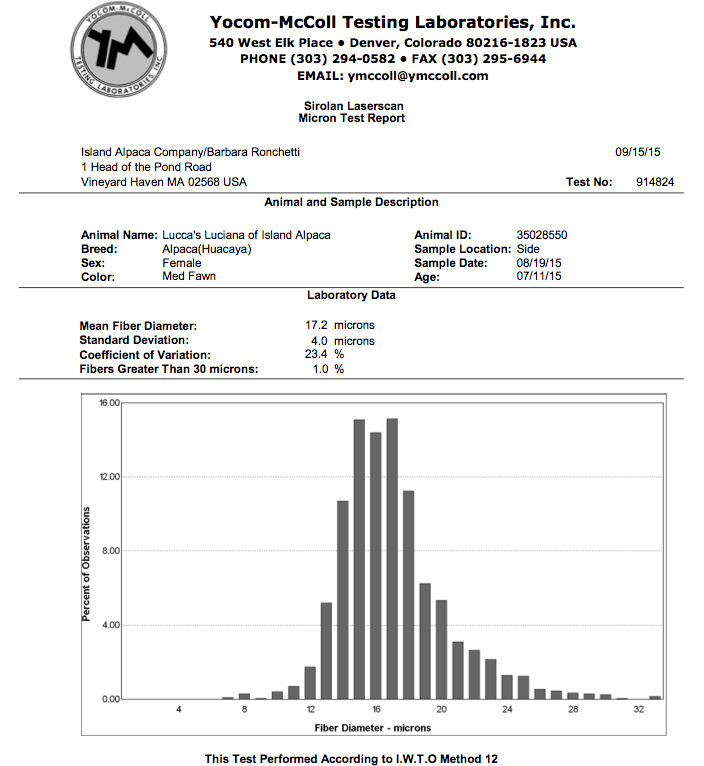 Fiber Criteria Highlights: Uniformity of Length, 6 out of 7. Uniformity of Color, 5 out of 5 possible points. 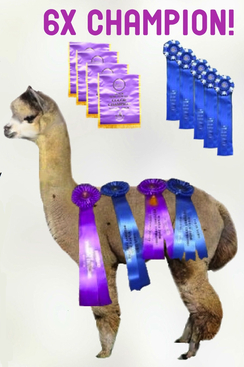 2016 Big E Alpaca Fleece Show judge Arturo Pena commented: "Great brightness! Great uniformity of color." We offer FREE financing for up to 12 months with a one-fourth down and timely minimum quarterly payments. 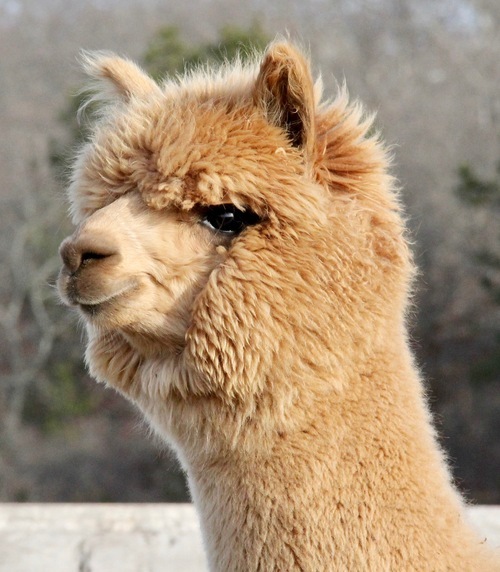 Alpacas financed longer than one year will be agreed upon in advance, for up to two years, at a fair market rate. Ownership of alpaca shall be transferred upon payment in full. We will be happy to talk about alternative financing that works for you. There are many options available. Let us know what works best for you!